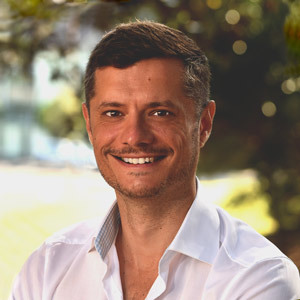 Anthony Littlewood is the Director of LittleMan Pty Ltd and also works as a Senior Developer for the company. He has over 10 years experience in developing FileMaker databases, including research, new development, prototyping, modification, re-use, re-engineering and maintenance. He has developed a significant number of custom software systems and writes solutions that other software development companies are not capable of producing. Anthony enjoys a challenge and believes that he can create superior specialised software solutions to meet the specific needs of any client or business. He is highly skilled in digitising the many difficult aspects of business while streamlining and simplifying for the end user. He is abreast of the newest technology available and has created system solutions for iPads, iPhones, Macs, PC’s and the web. As part of his role in the company, he has travelled internationally, marketing and developing management systems for a range of businesses, including fortune 500 companies. In his spare time Anthony enjoys renovating property, brewing beer with friends, finding new restaurants/bars and is always seeking adventure. Tash is a Newcastle born and bred FileMaker developer. Joining the team in late 2015, Tash has brought a wealth of knowledge of Newcastle based businesses and passion for software and a great user experience. Tash has a Bachelor of Technology in Information Systems from Swinburne University of Technology. Her background is in ERP and CRM implementation and development and she strives for excellence with client requests. Tash also has extensive history with social media and networking. Tash understands the needs for customised solutions within the sector and her thorough processes when analysing requirements ensures that all expectations are exceeded. Tash is a jack of all trades - In her spare time, she enjoys all things technology, playing the guitar, drinking coffee, watching sports and spending time with her family. Scott is a University of Newcastle Bachelor of IT graduate majoring in Business. He also works as part of the Newcastle Jets Youth Academy, mentoring promising, diverse young talent. Scott brings a wealth of experience in Mining Services and Government projects to the LittleMan team and his agile mindset ensures client requirements are clearly defined, understood and implemented. Scott brings a fresh minded approach to the team and a knack for getting things done. Mark has extensive knowledge and experience within the software and I.T. industries. Being a Member of the LittleMan team for five years, Mark has excelled in producing and consulting on some sizeable and in-depth FileMaker solutions. His ability to gain the trust and understanding of the customer has ensured that targets are always exceeded. A valuable team member with the knowledge and ability that is expected of any industry professional, Mark is well respected and sort after by our clients . Jon has over 30 years hardware and software experience in the I.T. industry, and 15 years experience specialising in developing Filemaker databases. He has developed solutions for Local Councils, retailers and numerous small to medium sized service industry businesses. During this time Jon has implemented a number of innovating ideas within these database solutions. Jon enjoys working closely with customers, becoming one of their team and achieving their business goals and objectives. Over 25 years experience developing software and databases; building applications performing a wide variety of tasks from designing sewerage systems, governing railways, full ERP systems and international banking systems to web sites for Business to Business referrals. Tony has worked on multiple Government projects developing and maintaining business structures, change management and financial systems for local and international Governments. Having finished his Visual Communication Design degree in 2011, he worked as a graphic and web designer for an online retail company for 2 years and has now focused his efforts in web design and development. With a love for clean, professional design, he is excited to deliver beautiful mobile-ready websites, online shopping carts, email newsletters and rich applications such as interactive maps. Rachael is an HR and accounting professional with a passion for organisational development and change. With vast experience working with senior leaders, Rachael utilises her interpersonal, communication and negotiation skills to ensure the long-term sustainability of organisations through review, evaluation and strategic realignment of an organisation’s structure, systems, processes and people. These skills are additionally enhanced and complemented by her intuitive ability for developing and maintaining mutually beneficial internal and external relationships.